Requirements: Upper floor residential and retail areas – Bespoke, high-performance acoustic solution with minimal floor height build-up and quick installation time. Ground floor residential areas – Flexible, low-profile UFH solution laid over the existing floor. Ground floor retail area – High heat output screed UFH. 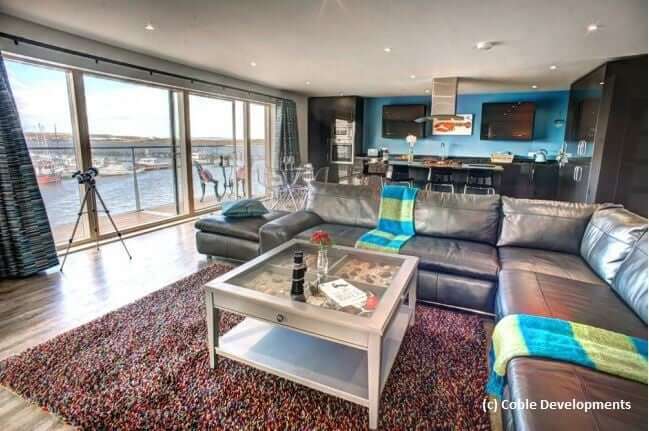 Solution: Upper floor residential and retail areas – ADPK14 (combined UFH and acoustic floating floor solution). Ground floor residential areas – DPFK14 (low-profile, diffuser plate, UFH solution for existing floors). 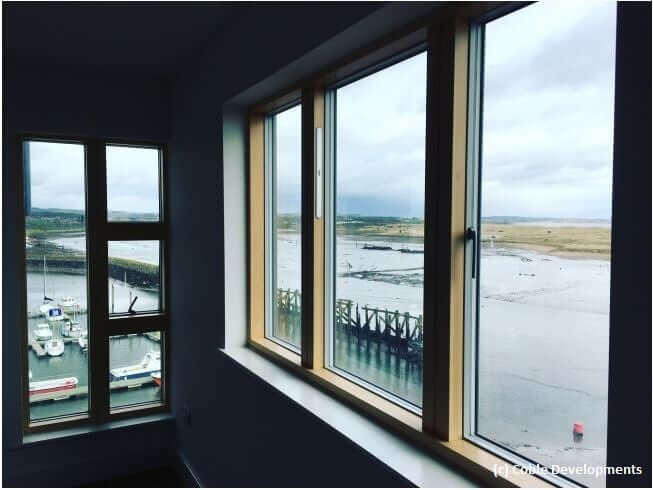 Nu-Heat were tasked with the design and supply of a bespoke underfloor heating (UFH) system for Coble Quay, an exclusive waterside development in Amble, Northumberland. 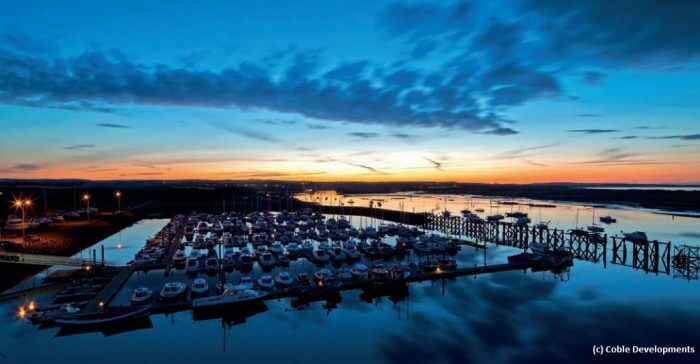 With stunning views across the marina towards Warkworth Castle, the 25 apartments and retail area make the most of their enviable location at the southern gateway to the Northumberland’s Heritage Coastline. Fast installation times to meet tight build schedule. Nu-Heat specified and supplied ADPK14 for all the upper floor apartments and retail space, 2,7852 in total. This low-profile, high-performance UFH system uses diffuser panels in an acoustic floating floor that is laid over the existing floor deck. ADPK14 significantly reducing airborne and impact noise between apartments and retail spaces. 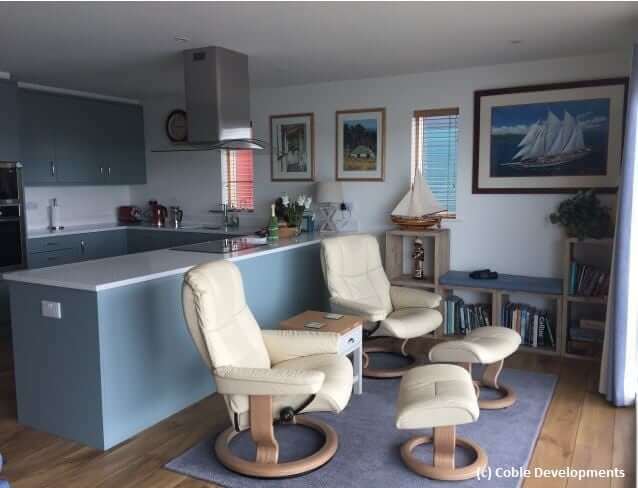 A flexible, dry solution, ADPK14 was also ideal for Coble Quay’s build schedule as there is no drying time and floor finishes could be fitted immediately after installation. 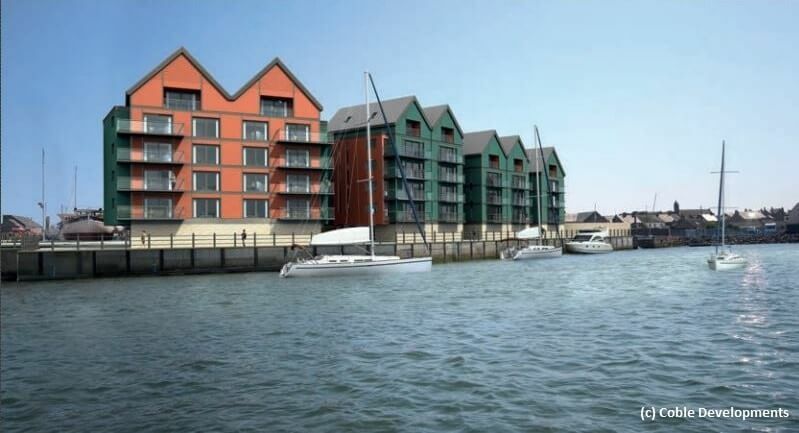 4272 of Nu-Heat’s DPFK14 diffuser plate UFH was specified and supplied for the ground floor apartments at Coble Quay. 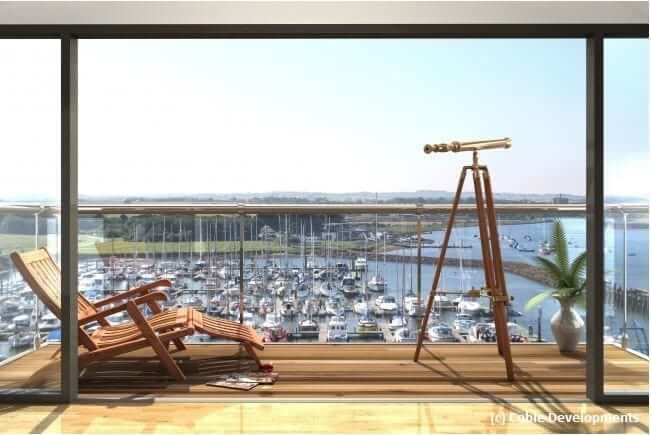 This low-profile, diffuser panel system consists of extra high density panels which can be easily cut to size to fit the available space and maximise flexibility when laid over an existing structural floor deck. 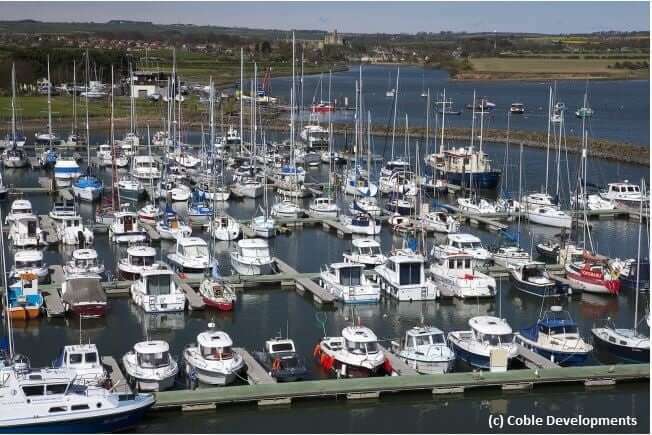 1612 of Nu-Heat’s SC14 screed UFH was specified for the ground floor level retail area of Coble Quay. 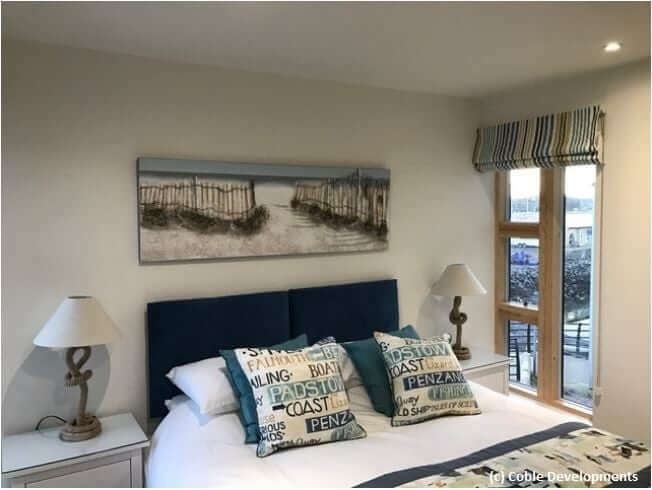 The system consists of 14mm FastFlo® UFH tube held in place by Cliptrack, topped with a layer of hand-laid sand and cement screed.